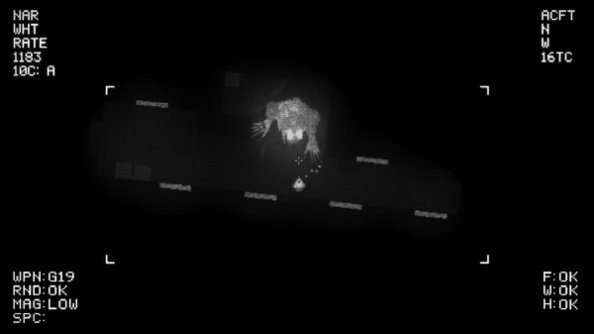 Noct is an apocalyptic wasteland as viewed through a thermal image satellite system. It’s a twin-stick shooter set in a persistent world where you can stumble across other players and team up to hunt for rations and supplies, or take down the giant, irradiated creatures that lurk in the night. 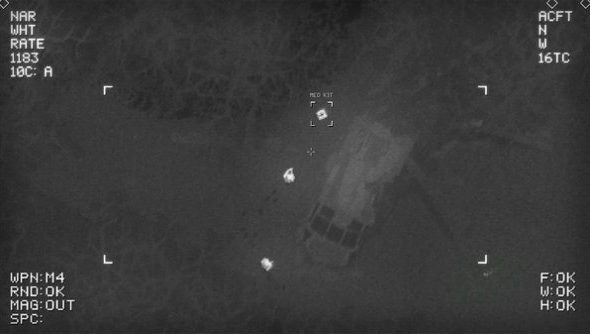 It looks nice and atmospheric, despite its simple style – the perspective of a satellite puts distance between you and the sprites, giving a stylised viewpoint similar to the AC-130 in Call of Duty: Modern Warfare’s campaign. The graininess really adds to the atmosphere. Another thing that looks to help Noct’s atmosphere is its score, which is composed by Nine Inch Nails guitarist Robin Finck and musician Wordclock. Like Robin Finck and Wordclock, you can team up with other players in Noct – your keystrokes popping up above your head as soon as you tap enter – but they can just as easily turn on you when you find some loot. Be careful your allies don’t capitalise on your low health after a big battle. Noct releases on October 22 on Steam.